The claim settlement ratio of LIC has increased to 97.93% during 2012-13 as compared to 97.42 in 2011-12. 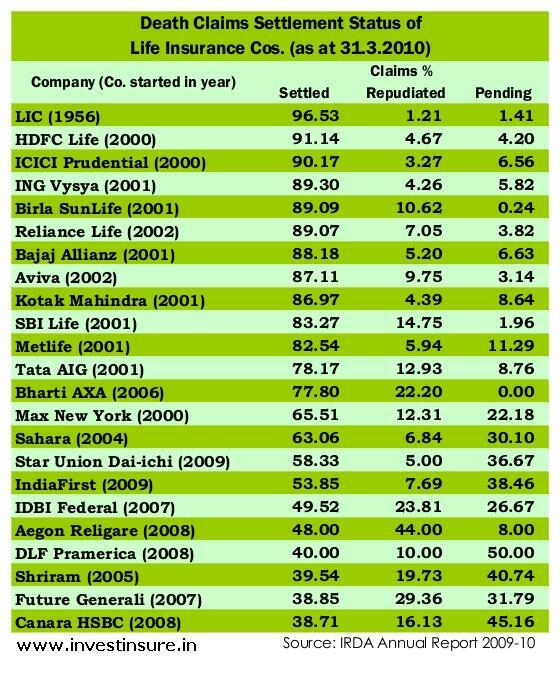 During the year 2012-13, LIC repudiated only 1.12% if claims as compared to 1.30% in the previous year. Overall claim settlement ratio of private insurers decreased to 88.65% during the financial year 2012-13 as compared to 89.34% in the previous year. 1. 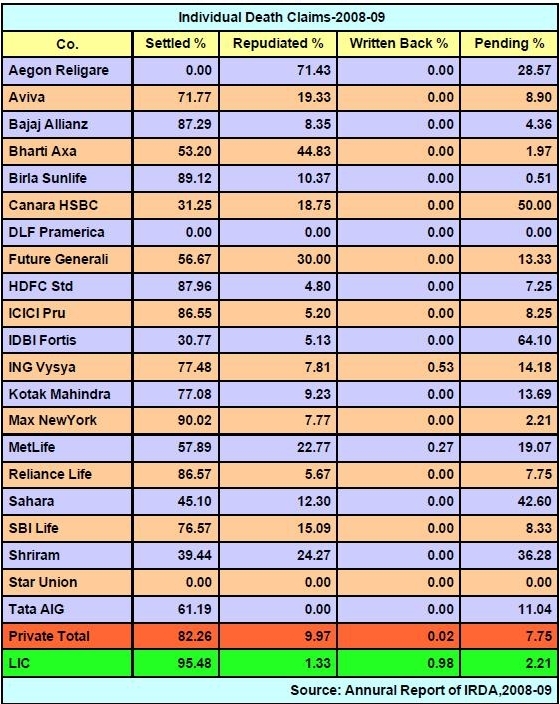 Total claims settled—Over 183 lakh claims, amounting over Rs. 52160 crores. 2. 96.21% of Total Maturity Claims settled on or before the date of maturity. 3. 95.78% of Non-early Death claims settled within 15 days of intimation. The ‘claims settlement ratio’ is the number of claims settled with respect to claims received. Private life insurers have come out pretty badly vis-à-vis LIC in this regard.Claims experience has to be one of the most important factors to consider before finalizing life insurers, because every insurer will love to collect premiums, but few insurers will feel the same about claim payments. LIC comes out better than private insurers in this regard.LIC is in a strong financial position and does not worry about the bottom-line when genuine claims have to be paid. Private insurers are struggling to break even and will surely be scrutinizing claims to a greater extent. LIC on (an) average 77,000 claims in a day.